A cluster of around 300 islands, mangroves, rich marine life, palm trees, white sand beaches, coral reefs, and adventurous Water Sports; if these remind you anything it has to be nothing else than “Andaman and Nicobar Islands”. A population of just 4 lacs, area of 8249 Square Kms, the Islands not only provide you a place to relax and unwind but also a place to rejuvenate with the thrill and excitement of various adventurous sports sparingly available. Let’s explore the 10 Best Adventure Activities in Andaman & Nicobar Islands. 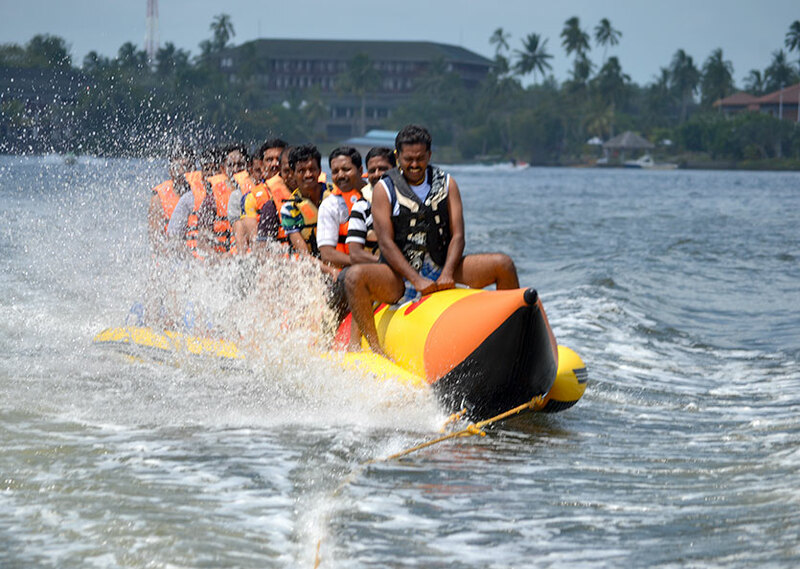 An inflated banana shaped boat which can carry up to six people is attached to a speed boat and is a real fun. It’s perfectly safe and you are required to wear life saving jackets. The real excitement is when you celebrate the sports with your family or if you are in group then with the friends. 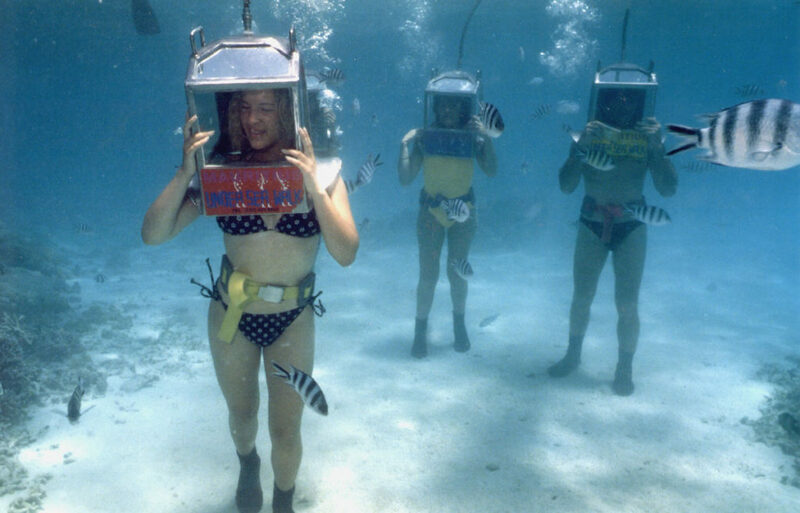 Just imagine you wearing your reading glasses, or you with a make-up on your face, or you with a stylish hairdo still you enjoying a underwater walk. That’s the fun of undersea walk. You just wear a “Helmet” which is so firm that water does not enter and you are free to enjoy the sea ecosystem. With an instructor around you can actually walk on the soft sand of sea and watch the natural sea habitat through the pristine waters. The man and the machine combination can be best enjoyed on water jets made especially for this sport. Control your moves and the machine will give you the experience of your life. You need to be familiar with the controls of the machine and soon you will find yourself hovering over the Seawater. 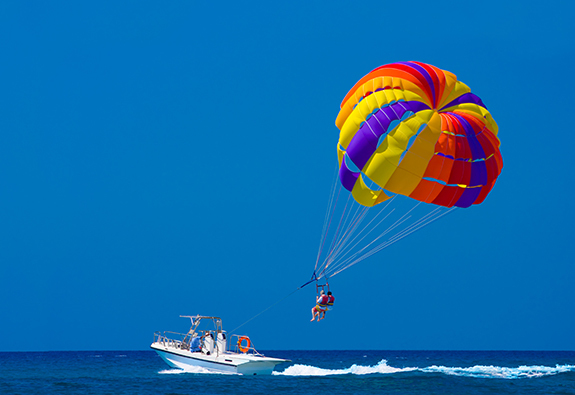 One of the few water sports where you need not to be a swimmer, just fly like a kite and enjoy both the Sea and the Sky. The Parachute attached with the speedboat with a string measuring in feet helps you to balance yourself and fly with the wind. The increased speed of the boat will make you sail with the parachute. Get your PADI (Professional Association of Diving Instructors) certificate from any of the center available in Andaman and get ready for the dive. 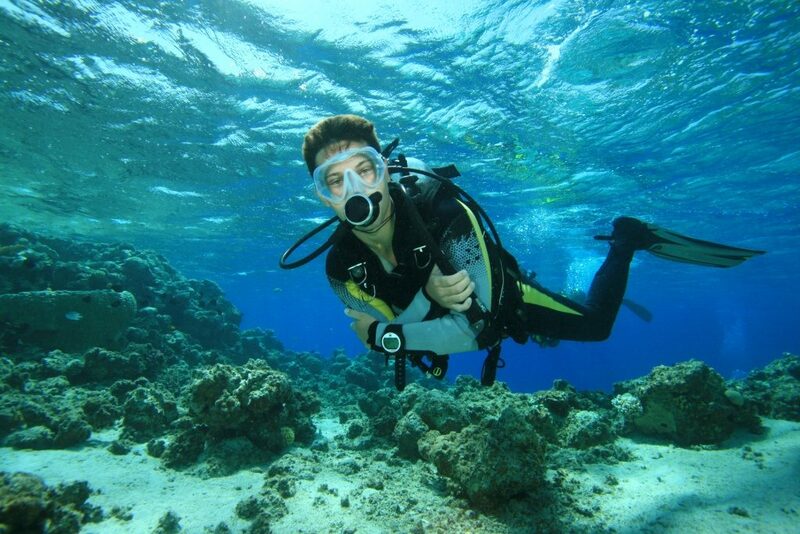 Wear your equipment and start the fun of being with nature’s best marine animals and colorful and rare coral reefs. The visibility of the ecosystem is so clear you can definitely call it pristine water. 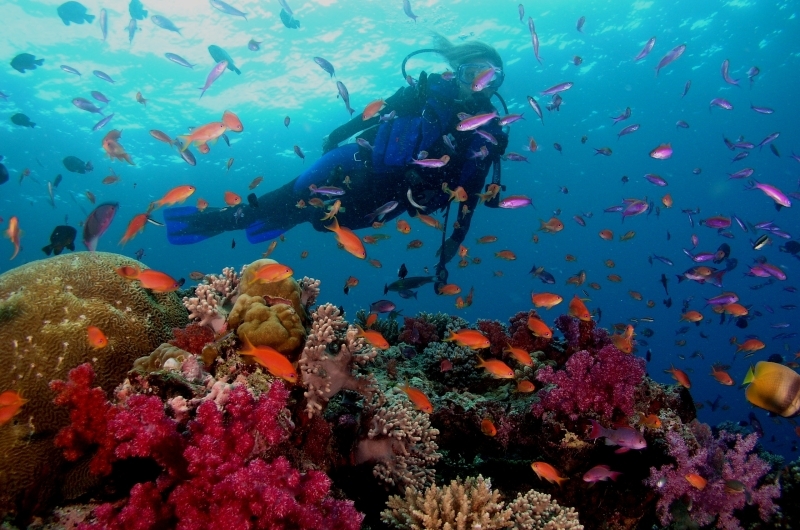 There are numerous spots across the Islands where you can enjoy the dive. 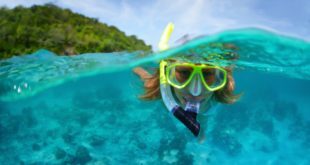 The best place to have the pleasure of enjoying an amazing marine life and the ecosystem that also live can only be possible at Andaman and with Snorkeling. Just wear the mask and the goggles and dive in the shallow waters of the sea to witness the marine creature in their natural habitat, colorful corals, and the reefs can be felt by touching. The best places for testimony are – Havelock Islands and North Bay Islands. If at all you have a “hydrophobic” tendency or you are not in a mood to drench you with water, just sit on the stylish Yachts and move deep into the sea with fishing equipments. 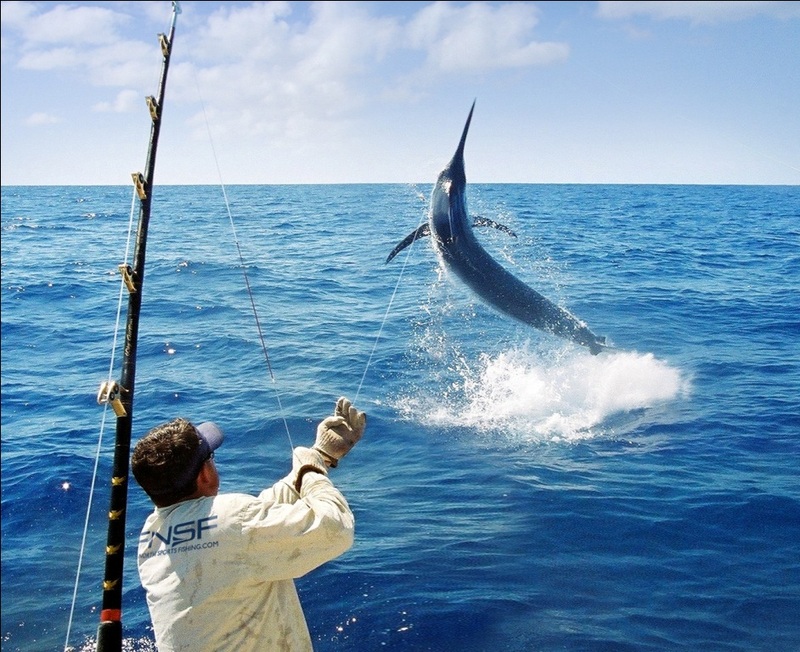 Get the sense of achievement with your catch and at the same time witness the vast stretch of the sea. Preferably in the afternoons after lunch these trips are fulfilled and you can return with your trophy, fish you catch, and relish the same in your dinner. 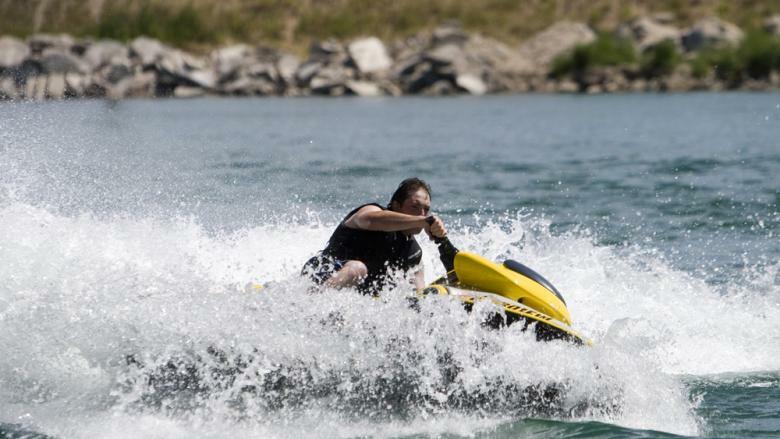 This sport is the best option to be in the Sea, get the thrill, feel the exuberance, maneuver the sea with speed and still not get a single drop on your cloths. 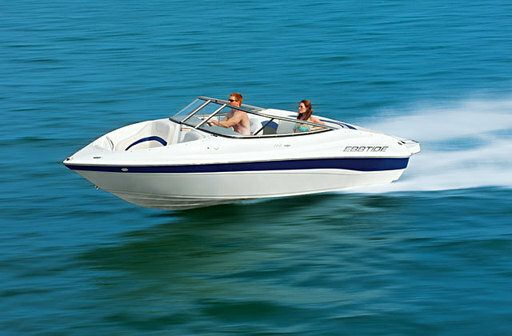 Be safe on the Speed boat and fulfill your wish of driving reckless over the sea waters. One of the most sort after adventure sport on the Island, trekking can be fun with the vast stretch of greenery of the thick rain forest, white sandy beaches, sea water and the challenging routes. 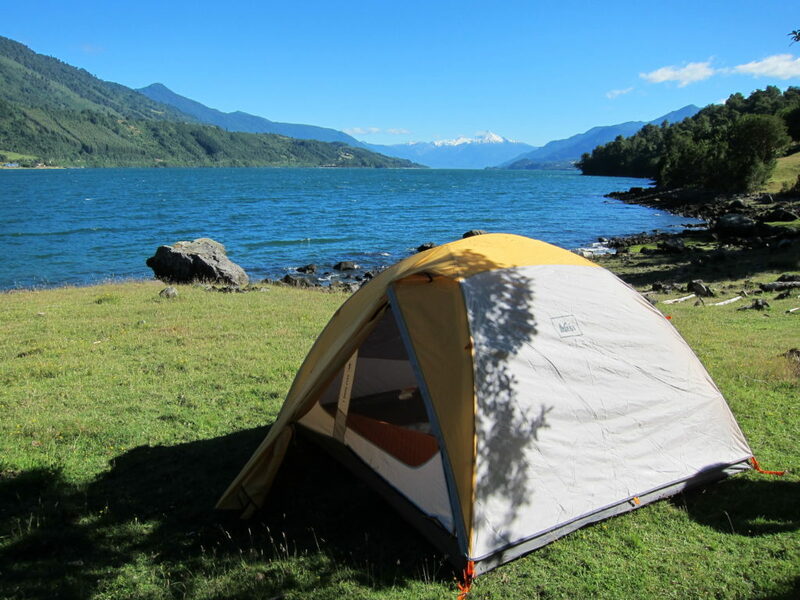 The rich flora, about 2200 species of plants, and fauna, about 270 species of birds can be witnessed during the trekking. 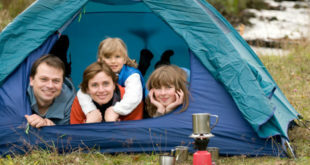 The camping experience on beach with the continuous musical sound of the seawater along with the cool breeze cannot be copied even in heaven. One of the places where you can find whole lot of adventure sports in Andaman Islands is Andaman Water Sports Complex, which offers you – Rowing Boats, Paddleboat, Kayaking, and Bumper boats. 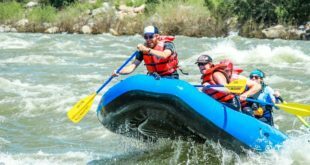 You may experience all other adventure sports also at this place. 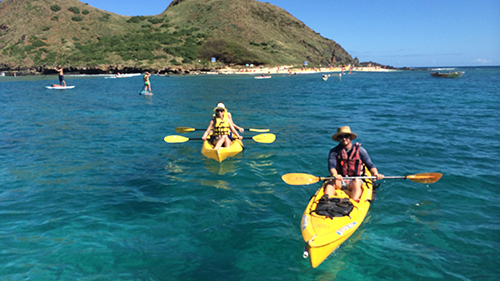 One of the most famous sport – Glass bottom boats are also available here. So next time when you visit Andaman and Nicobar Islands you know when, what and how to enjoy the trip to maximize your fun quotient during the trip. Wow..Awesome article. I love adventure activities like snorkeling, parasailing, scuba diving etc. This article so encouraging. Thank you for sharing this article. These are really best things to do in Andaman. I had a good experience with Scuba diving.